Since I’m a BzzAgent, I was provided for free, the new Lysol® Touch of Foam hand soap in the Creamy Vanilla Orchid scent. After using the Lysol® Touch of Foam hand soap in Creamy Vanilla Orchid in my home for about 3 weeks, I can say that I am satisfied with the results. Just so you can get a clear understanding as to how and where I used it, it was placed at my kitchen sink. I believe the kitchen sink was the perfect location for it since I do a ton of cooking. The pump of the bottle is designed with antimicrobial properties in it, which means that you don’t have to worry about spreading germs when dispensing the soap onto your hands. This is especially important when cooking, and after using the restroom. When you’re cleaning raw meats like chicken and beef, you need a hand soap that kills bacteria quickly and effectively, and without drying out your hands. That’s what I like about the Lysol Touch of Foam hand soap. 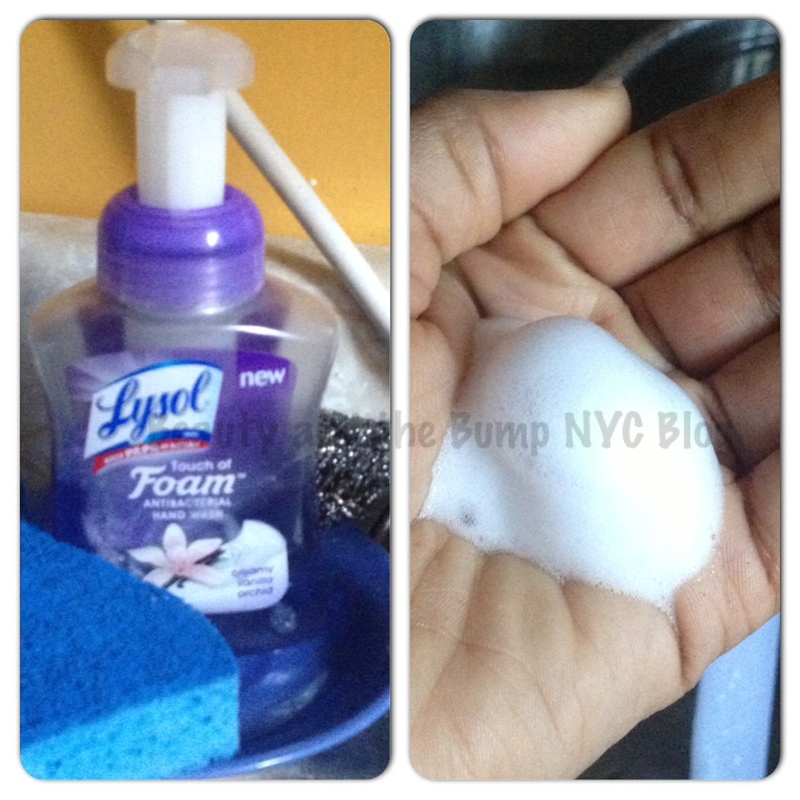 The texture of the Lysol® Touch of Foam hand soap was light, creamy and airy. It lathers well. After rinsing, unlike other antibacterial hand soaps I’ve used, it also leaves your hands feeling soft and moisturized with a light scent. The scent that’s left is not overpowering at all, which I love. It also fades away after a few minutes. If Creamy Vanilla Orchid isn’t your cup of tea, the Lysol® Touch of Foam hand soap is available in two additional scents – Rose & Cherry in Bloom and Wild Berry Bliss. A little of this soap goes a long way. I would say that my 8.5 oz bottle is half full, and I use it often. Definitely give it a try if antibacterial hand soaps are your thing. Health matters. To all of us. That’s why Lysol® started their Mission for Health. With new mom programs, healthy habits initiatives in schools and disaster relief efforts, the company is dedicated to doing more for everyone’s health. The mission is fueled by passion and backed by their expertise in killing germs. So when you use Lysol® at home, you’ll know you’re a part of something bigger. For healthy hands and more, visit lysol.com/mission-for-health. Disclosure: This product was provided to me for free by Lysol® through Bzzagent for review consideration. I was also provided coupons to hand out to family, friends and associates. Opinions in this post are my own and are 100% honest.